You are hereby invited to join WritingRoom!! This invitation is coming from starlingpoet, they would love you to check out their writing and join WritingRoom.com. You can view starlingpoet's profile at http://www.WritingRoom.com/starlingpoet Thanks for writing! Anyone who is working to make the world a better place for everyone in it. Anyone who is trying to do their best, at whatever they are doing. Anyone who is working to make the world a better place for everyone in it. Anyone who is trying to do their best, at whatever they are doing. Whatever Karma I create, whether good or evil, that I will inherit. Whatever Karma I create, whether good or evil, that I will inherit. He who walks with the wise grows wise, But a companion of fools suffers harm. 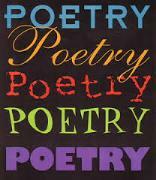 Currently writing for the Saskatchewan Poetry Society book for 2008-2009. Writing credits- Poetry institute of Canada anthologies: The Departing Day 2007 From Wayside and Woodland 2008 Island Treasures 2009 Summer Tapestry 2009 Transition magazine fall 2007 -non-fiction Saskatchewan poetry society book Interlude 2006-2007 Winner of the Saskatchewan Poetry Society annual Prairie Theme contest 2009. poem titled ~Replanting Currently writing for the Saskatchewan Poetry Society book for 2008-2009.
what is the color of a broken heart? thanks for accepting me as a friend again..wish to read more of your poems..enjoy the day!..